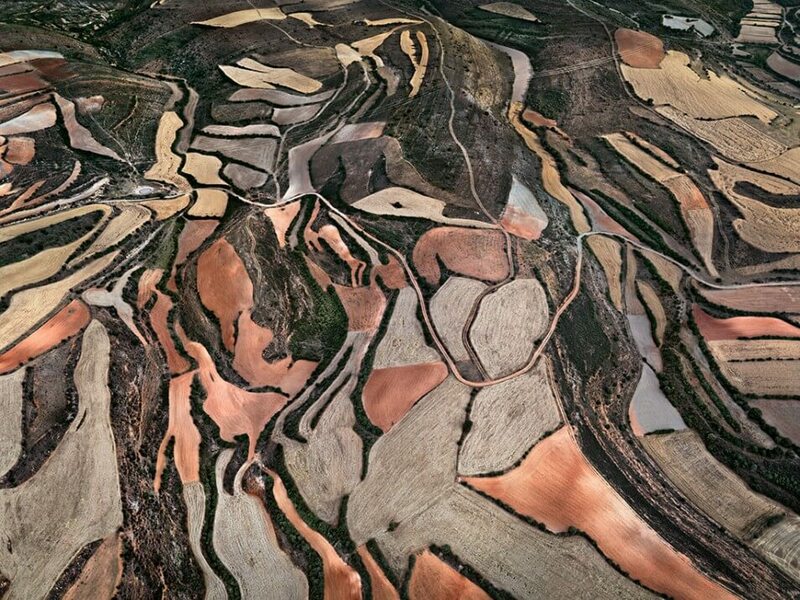 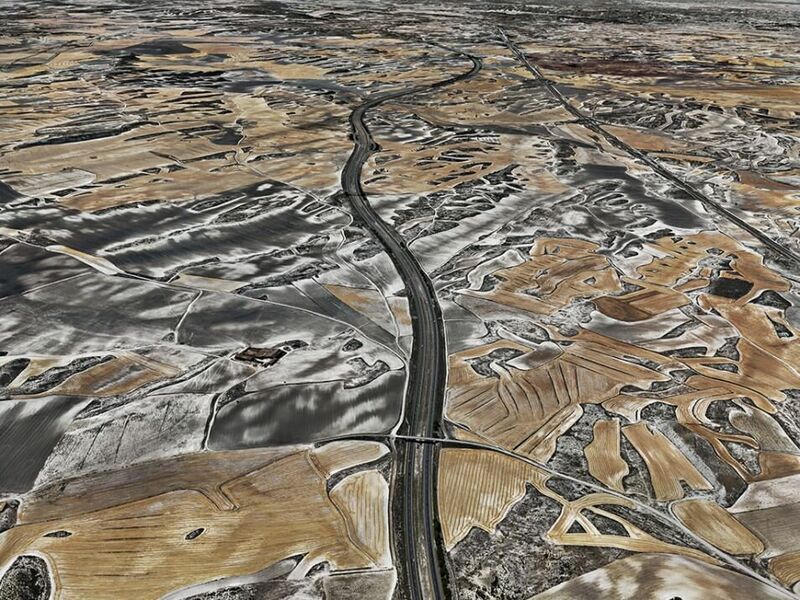 In 2010, Edward Burtynsky photographed agricultural areas in Spain including Monegros, a hilly,semi-desert area with extreme climatic conditions. 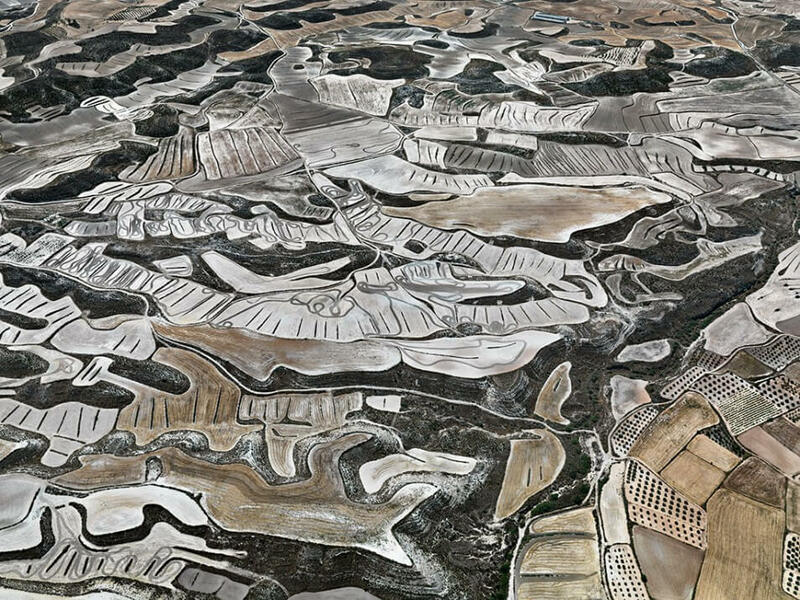 Drawn by the organic expansion of farming areas created by successive divisions of land, Burtynsky became fascinated with the extraordinary level of visual complexity of Monegros he saw from a bird’s eye view. 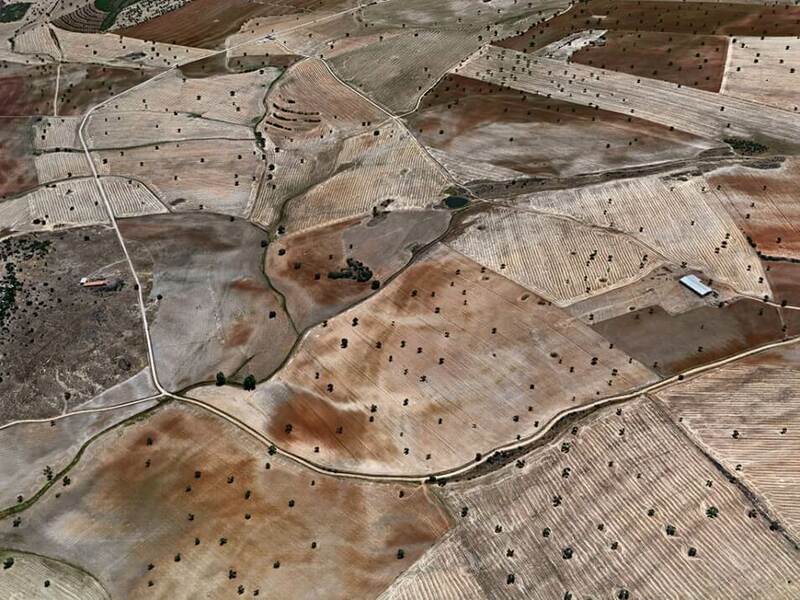 The resulting photographs here are part of the “Dryland Farming” in Aragon series (with one from “Olive Groves” in Jaen) and present some of his most abstract work to date. 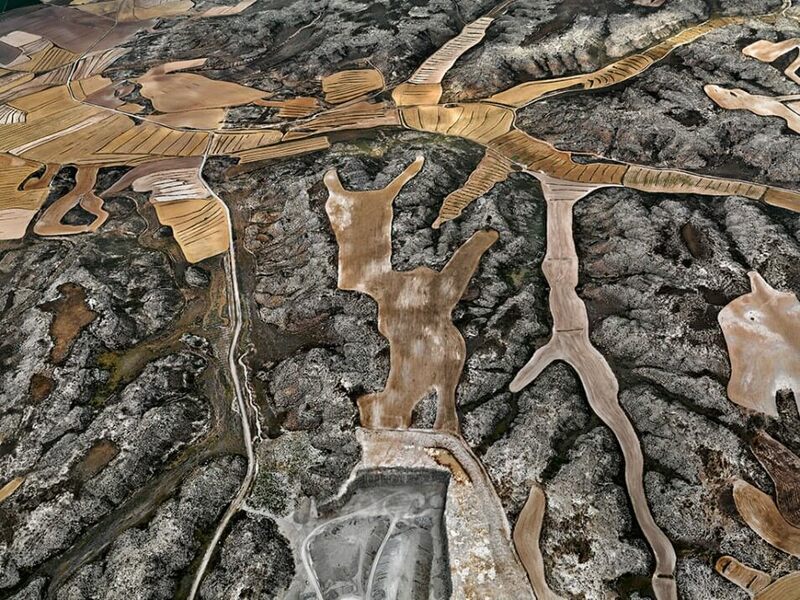 Their rhythmic patterns and semi-figurative shapes resemble paintings by Dubuffet, Kandinsky,Picasso, Miró, Arp and Basquiat, as well as primitive art and cave paintings. 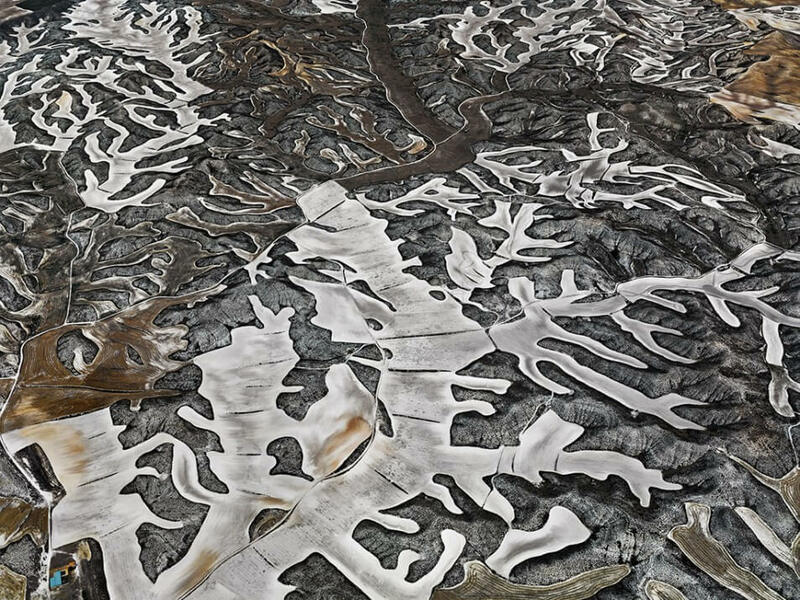 Although these astonishing landscapes appear cosmic, the writhing lines, bold patches of color, texture and rendition of detail in these compositions also suggest microscopic organisms. 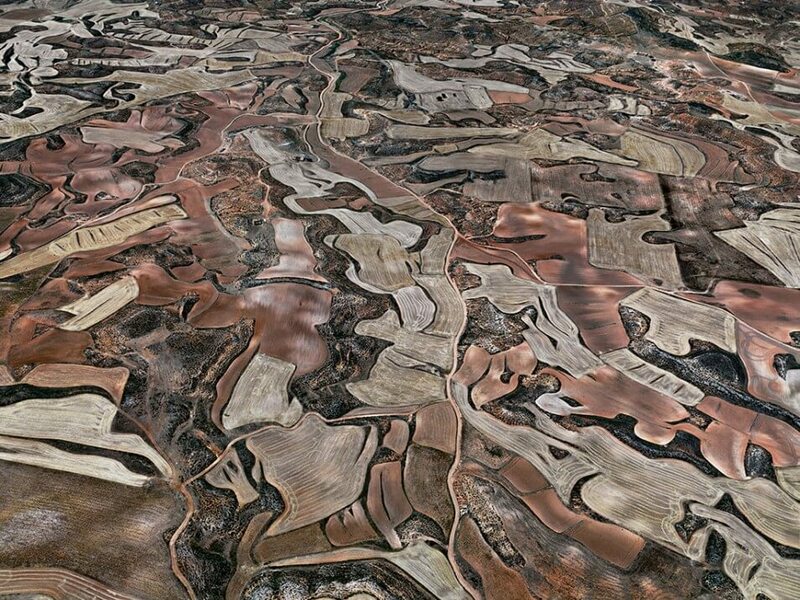 Burtynsky is internationally renowned for his large-scale photographs of industrial landscapes. 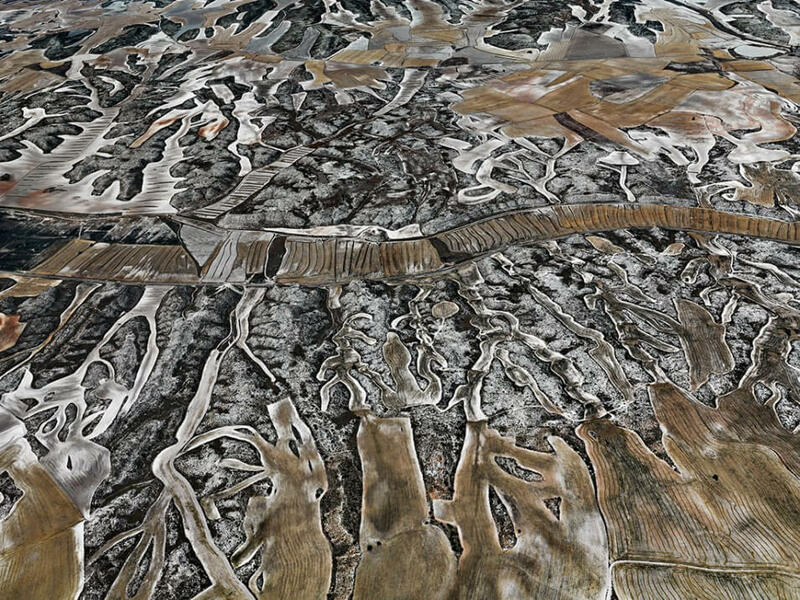 After a decade-long exploration on the subject of oil, Burtynsky is now delving into another crucial resource: water. 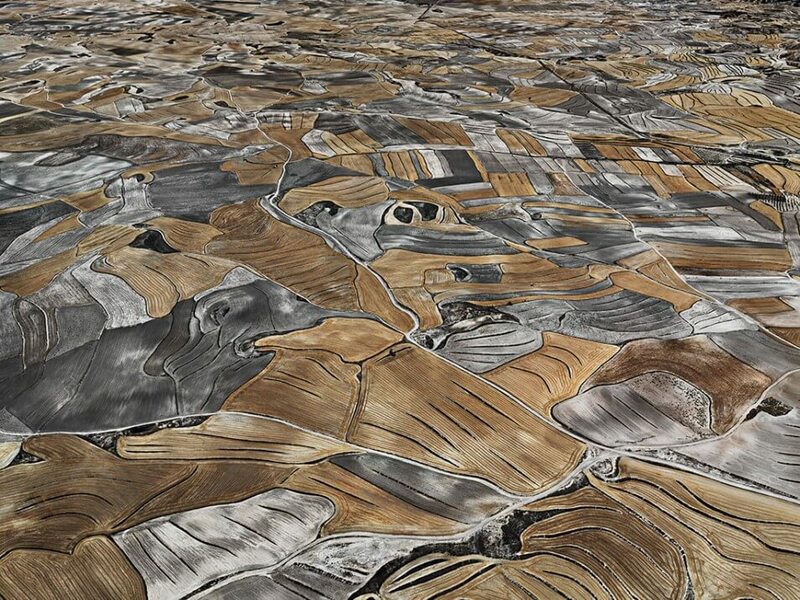 Agriculture is a key element in this subject since 70% of global fresh-water consumption is used to produce food. 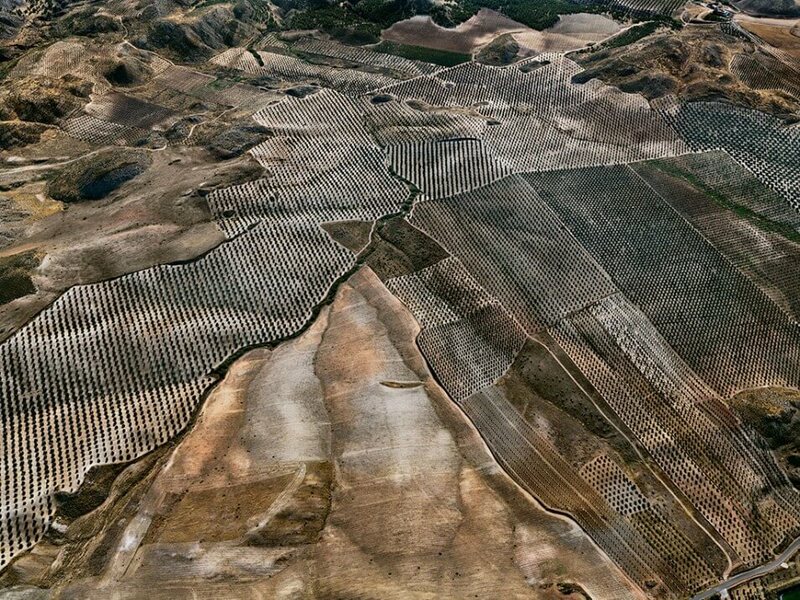 Works from the Monegros series will form part of the Water project, release date Autumn 2013.